My mom, dad, aunts, and uncles all wanted to see what I’d look like animated in CGI 3D. Well, here I am! I don’t mean to sound proud, but I think Firefly and I look pretty cute this way! I overheard my family saying they wanted Maggie McNair’s World to be an animated feature film that would be as good of quality as Disney and Pixar, but filled with more Light. One night they filmed me when I was feeling down, but don’t worry, Firefly cheered me up. They prayed this video would plant a seed, then others would come along and water it, and after some time, everyone would praise God as it grew. 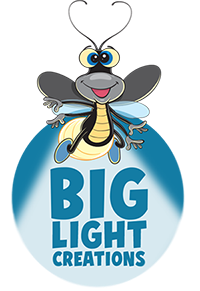 My Bug Friends and I are the main characters and all we have to do is be ourselves— a Kid and Bugs that love Jesus, life, and others. That sounds easy, but they say it is very expensive. They didn’t have enough money to continue in CGI 3D, so they changed the plan. Now they are animating us in 2D, whatever that means. My friends and I don’t care what we look like on the outside because all that matters is what is in the heart. MAGGIE MCNAIR’S WORLD, ANIMATED IN CGI 3D! CHURCH LEADERS — FELLOW BROTHERS & SISTERS IN CHRIST: Please come together and help us share this mission on social media with your church, family, friends, and community. We NEED your Help, Support and Prayers.